The Rajasthan High Court quashes Clause 4(3) of Compassionate Appointment of Dependents of Deceased Employees of Rajasthan State Road Transport Corporation Regulations 2010 as it is arbitrary and violative of Art.14 of the Constitution. 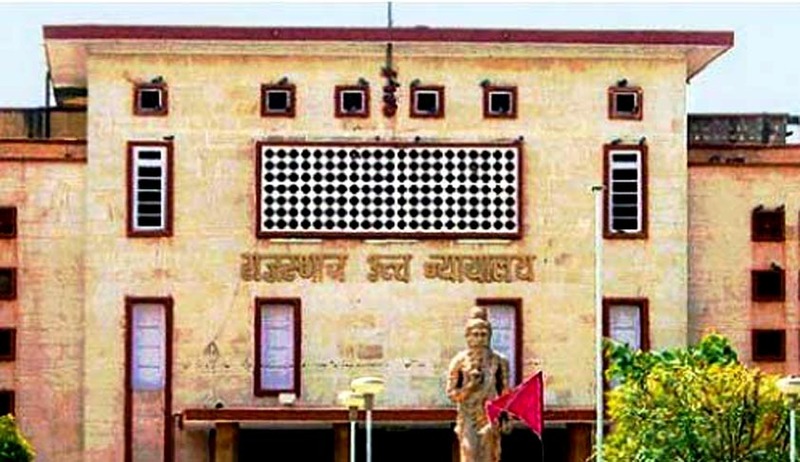 Observing that the objective of compassionate appointment is to mitigate the hardship of the family of bread winner and hence should be provided immediately, the Rajasthan High Court has stated that the appointment has no correlation with the amount receivable under a statute i.e., MV Act occasioned on account of accidental death. Making this observation, the Rajasthan High Court quashed Clause 4(3) of Compassionate Appointment of Dependents of Deceased Employees of Rajasthan State Road Transport Corporation Regulations 2010, as it is arbitrary and violative of Article 14 of the Constitution. A Division Bench of Justice Ajay Rastogi and Justice JK Ranka made the observation while hearing a writ petition by one Danish Khan, dependant son of a deceased employee of Rajasthan State Road Transport Corporation (RSRTC) who died in an accident while in service. The deceased, who was employed as an RSRTC helper, met with an accident while riding the RSRTC bus on 26 July, 2012, and died on the spot. He was 35. The dependants of the deceased employee, including petitioner Danish, filed a joint claim application before the Motor Accidents Claims Tribunal, (MACT) claiming compensation impleading the vehicle driver and the Corporation as defendants. At the same time, after fulfilment of the requirement as provided under the Scheme of Regulation 2010, Danish -- the eldest son of the deceased employee -- submitted an application for compassionate appointment, but that was rejected by the Corporation vide order dated 25 February 2014, informing him that they had already filed claims application against the Corporation that disentitles the dependant from seeking compassionate appointment under Clause 4(3) of Regulation 2010. Clause 4(3) of Regulation 2010 disqualifies the dependant of the deceased employee to seek compassionate appointment in case he/she has claimed compensation under the MV Act from the Corporation or his application is either pending claiming compensation or award has been passed by the MACT under the MV Act against the Corporation, and the dependant while submitting application for compassionate appointment under the Regulation 2010 has to submit an affidavit on a non-judicial stamp of Rs.10/- that he/she has not filed any claim application against the Corporation for the alleged accident with the vehicle of the Corporation. Counsel for the petitioner submitted that the restriction which has been imposed by the Corporation under Clause 4(3) of Regulation 2010 is discriminatory and violative of Article 14 of the Constitution. The counsel submitted that in a case where the employee of the Corporation met with an accident with the vehicle other than the vehicle of the Corporation and dies while in service, he can certainly make an application to claim compensation under the MV Act and at the same time one of the dependant of the deceased employee if otherwise eligible can be considered seeking compassionate appointment under Regulation 2010, but in a case where the serving employee of the Corporation died due to accident with the vehicle of the Corporation, he has to opt either to seek compassionate appointment under Regulation 2010 or to sue the Corporation claiming compensation under the MV Act. The counsel argued that the double standard for examining eligibility for seeking compassionate appointment is wholly arbitrary and has no nexus to the object sought to be achieved and casualty never occurs with prior notice, the vehicle with which the employee is supposed to meet with the accident and hence called the ‘artificial’ distinction made under Clause 4(3) of the Regulation 2010 is arbitrary and violative of Article 14 of the Constitution. Compassionate appointment cannot be "Pecuniary Advantage"
The Bench held that the object of compassionate appointment undoubtedly is to mitigate hardship of the family of bread winner and appointment should therefore be provided immediately to redeem the family in distress. The Bench observed that compassionate appointment can be one of the conditions of service of an employee, if a scheme to that effect is framed by the employer. In case, the employee dies in harness i.e. while in service leaving behind the dependants, one of the dependants may request for compassionate appointment to maintain the family of the deceased employee. The Bench added that this cannot be stated to be an advantage receivable by the heirs on account of one's death and has no correlation with the amount receivable under a statute i.e., MV Act occasioned on account of accidental death. Compassionate appointment may have nexus with the death of an employee while in service but it is not necessary that it should have a correlation with the accidental death. An employee dies in harness even in normal course, due to illness and to maintain the family of the deceased one of the dependents may be entitled for compassionate appointment but that cannot be termed as "Pecuniary Advantage" that comes under the periphery of the Motor Vehicles Act. The Bench finally held that Clause 4(3) of Regulation 2010 is certainly discriminatory and violative of Article 14 of the Constitution for the reason that if the employee of the Corporation meets with an accident with any vehicle other than the vehicle of the Corporation, the victim can claim compensation under the MV Act and one of the dependants can seek compassionate appointment under Regulation 2010, but if the employee of the Corporation meets with an accident with the vehicle of the Corporation, family members/dependant of the employee has to submit option either to seek compassionate appointment or to sue the Corporation claiming compensation under the MV Act has no nexus with the object to be achieved and is violative of Article 14 of the Constitution of India. It said that claiming compensation in regard to death occurred in accident under the MV Act has no co relationship while seeking compassionate appointment under the relevant scheme of rules. The court set aside the order passed by the Corporation rejecting the application of the petitioner seeking compassionate appointment dated 25 February 2014, and the directed the Corporation to consider his application, and provided he fulfills other conditions seeking compassionate appointment under Regulation 2010, appropriate orders be passed within two months.